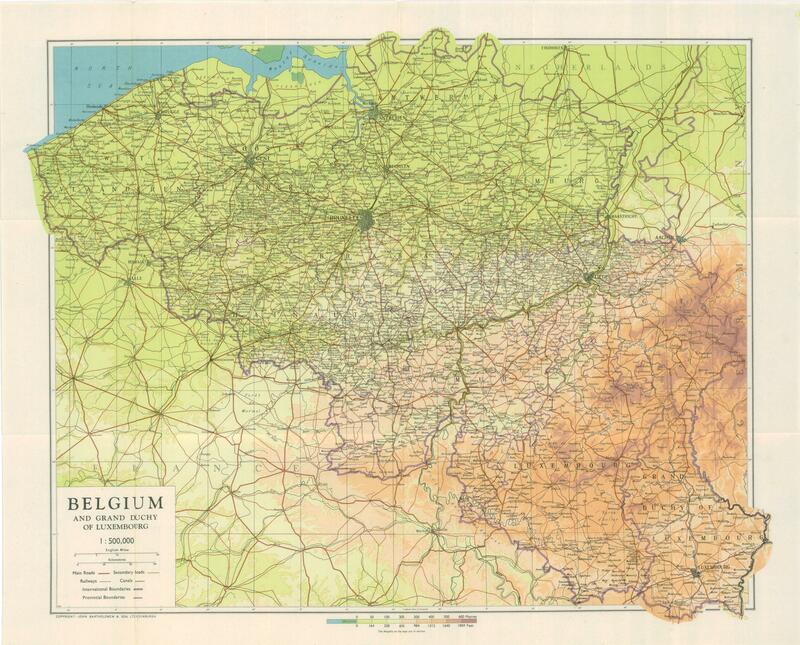 My thanks to Collins Bartholomew Ltd. for permission to reproduce their copyrighted 1944 map of Belgium. It was originally published by John Bartholomew & Son Ltd Edinburgh, probably around 1944. It was found in a pocket on the inside back cover of the book, Belgium, published by Naval Intelligence Division, Geographical Handbook Series, February 1944. To view the map in greater detail, click on it once, then click on it a second time. The second click will provide a highly detailed view. Using your mouse, you should be able to scroll up and down and drag the map from side to side. Locate Antwerp and follow the road northeast to Turnhout. If you continue north to the Dutch border you pass through Ravels, Poppel, and Weelde. Poppel and Weelde figure prominently in the story of the Smit-Van der Heijden Line as did Baarle-Hertog, the Belgian town in The Netherlands, west of Poppel and Weelde.